Animal-based therapies have been studied, advanced, promoted and implemented for hundreds of years. Specifically, equine-assisted psychotherapy is a unique rehabilitation approach that brings man and animal together in a successfully proven treatment program. An article from The Guardian states that because of their sensitivity and extreme intelligence, many researchers believe horses to be the mirrors of humans. Due to this, therapy programs have been developed to aid in the rehabilitation process. The popularity of equine-assisted psychotherapy has dramatically increased over the past few years, from merely a handful to now hundreds of programs available in the United States. Equine-assisted therapy allows horses and therapists to intertwine behavioral and mental health treatment. 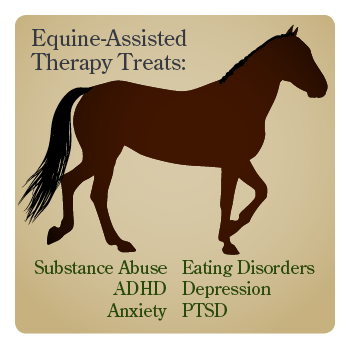 Equine-assisted therapy most commonly is used to treat disorders such as substance abuse, attention deficit hyperactivity disorder (ADHD), post-traumatic stress disorder (PTSD), eating disorders, anxiety and depression. animal-assisted therapies use animals to comprehensively heal and enhance a person’s physical, emotional and social well-being. Psychotherapy is a collaborative treatment based on the relationship between an individual and a therapist. Based on dialogue-focused treatment, it provides a supportive environment that promotes an individual openly speaking with a physician who has a non-judgmental, unbiased opinion. Those who have specifically been dealing with feelings of anxiety and depression for a long period of time may particularly seek out this type of program. Dr. Andrew Weil states that animal-assisted therapies use animals to comprehensively heal and enhance a person’s physical, emotional and social well-being. In doing so, anxiety and depression are decreased while self-esteem and confidence are boosted. Animal-based therapies initially began in Ancient Greece. The era of 600 B.C.E. 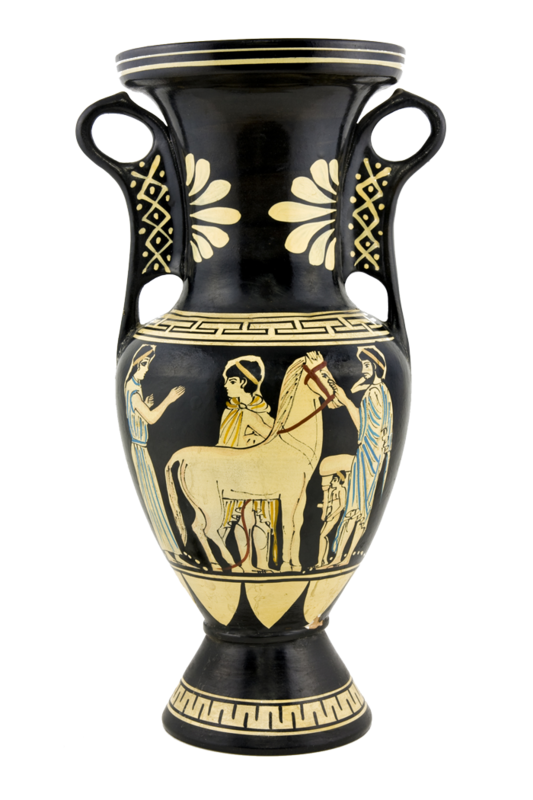 was the first recording of Greeks using horses as a means of therapy and coping. Ancient stories convey that a mythological centaur (half-man/half-horse) Chiron, illustrated the important impact of horses. Chiron was specifically said to promote healing, wisdom and physiological strength. These qualities specifically correlate with equine-assisted psychotherapy treatment in present day. Equine therapy is not the only treatment program integrating animals and humans towards the goal of achieving long-term sobriety. Animals such as elephants, canines and dolphins have also been proven to aid in the healing process. Researchers believe that animals allow for patients to be vulnerable and open to treatment. They also affect human brainwaves, possibly aiding with combating the disease of addiction and mental disorders. A segment by CBS News explained the growing popularity of elephant-based therapies in Thailand. There the program is mainly used for autistic children and those with learning disabilities. The animal’s intelligence, along with other traits, provides a rich, learning and healing process for patients. For centuries, water has been considered a healing element. Due to this, researchers began conducting studies on the effect of dolphins and how they could be integrated into treatments for addiction and mental health disorders. Research from Texas Woman’s University concluded that due to the dolphin’s attentive behavior and intelligence rivaling that of humans, they are the perfect candidates for animal-based therapies. Although not yet fully proven, the University also suggested that echolocation (dolphin’s use of sonar), produces changes in a person’s body tissue and cell structure. Similar to the effect of music therapy, some researchers have suggested that the sounds dolphins create help to produce these changes and aid with the healing process. The American Hippotherapy Association (AHA) was established over two decades ago in 1987. Based in Fort Collins, CO, the AHA is the original organization to research and promote the benefits of equine-based therapy. As a direct result of its efforts, the AHA has brought awareness to this type of program and highlighted the progress of patients who have used this type of therapy. Its ultimate goal is to improve the quality of life of those with disabilities and disorders through this specific treatment. Due to the vomeronasal organs located within their noses, horses can keenly smell psychological changes. Path International states that research into the healing effect of horses began being studied because of their understanding and sensitivity to emotional changes of humans, especially those caused by traumatic experiences. Due to the vomeronasal organs located within their noses, horses can keenly smell psychological changes. Therapists use the horse’s feedback to a patient as a gauge for what the individual is experiencing and feeling. There are over 9.2 million horses located within the United States. Horses aid in increasing economic prosperity on national and local levels. The influx of equine-assisted therapies allows for the everyday American citizen and patients in recovery to flourish. Many researchers agree that integrating animals into therapy based treatments aids in giving individuals an alternative, fulfilling sense of life, as opposed to what they may normally experience. 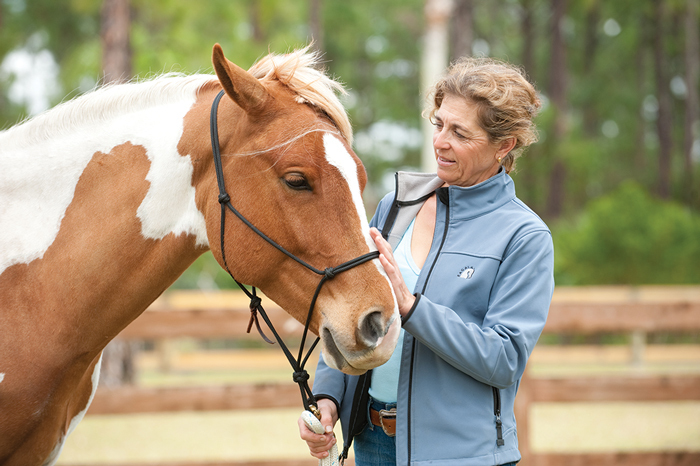 At Seaside Palm Beach, equine-assisted therapy has been instrumental in helping our clients gain the confidence and trust necessary to develop healthy relationships and to maintain sobriety and mental health. This animal-based therapy is led by a professionally certified equine therapist in a private, custom-built stable with thoroughbred horses. This innovative treatment program is offered on a seasonal basis and has been proven to help clients suffering from a variety of substance abuse and mental health disorders. It has been instrumental in helping our clients gain the confidence and trust necessary to develop healthy relationships and maintain sobriety and mental health. At Seaside Palm Beach, we pride ourselves in creating and offering unique programs from which patient can choose. Our state-of-the-art facility and highly praised physicians create an unrivaled rehabilitation experience. Our comprehensive, holistic approach treats every aspect of a patient’s addiction. Seaside Palm Beach promotes a unique approach to treatment. We also understand the importance for many of our patients to continue to work while still in treatment. “Living recovery” was created by our facility and allows laptops and cellphones so that our patients can continue to connect with the outside world during treatment. Our wide range of specialized treatment programs will allow our patients to achieve long-term sobriety. For more information about Seaside Palm Beach or our equine-assisted therapy, please call (888) 997-3274.